How to win the lotto: 7 real ways! So, you'd like to win the lottery huh? Join the club! The internet is absolutely bursting at the seams full of dubious content that promises jackpots but doesn't deliver. So if you're looking for some real practical advice on how to increase your chances of winning the lottery read on! "How Can I Win The Lottery?" That said there are plenty of ways to increase your chances of winning by tilting the odds in your favour. With that in mind we've compiled seven sure-fire ways of increasing your chances. Forget positive thinking, so-called laws of attraction or any of that sort of stuff. There's nothing mystical here, rather a set of strategies which stand up to scientific rigour. Imagine instead of the standard amount of numbers (e.g. five for the Lotto) you could get a special ticket that let you pick even more numbers. Well, with Lottoland you can do just that. It's called a system entry and playing in this fashion allows you to enter more numbers than the standard amount, in multiple combinations for a given draw – increasing the chances of a win dramatically. The catch is that, when you do this, the price also rises since in essence you're going from buying a lottery ticket to multiple tickets. Depending on how many numbers you pick you're basically going from a fistful to an armful right up to a potential wheelbarrow full of lottery tickets – so obviously you'll also have more chances of winning but of course you're going to have to pay more too. For this very reason system entries are very popular with lotto syndicates who can split the cost among members. Lucky for you we've recently published two articles to help you on your way. Our recent article on system entries covers the topic in depth and we also just published and article on how to form a lottery syndicate. All lottery numbers are drawn at random; therefore you should try to pick your numbers at random too. This also has the added benefit of reducing the risk of shared wins should you hit the jackpot. Unfortunately, according to a study by US researchers from Stanford University and Bucknell, as humans we're simply unable to do this. It turns out that even when we try to select numbers at random what we actually do is pick the numbers subconsciously. According to the experts our brain "tells" us numbers, numbers that have already reminded us of something, such as an important date, and so, without knowing it, we pick numbers that have a specific significance to us. Experts therefore encourage lottery players to use Quick Picks, which are picked completely at random by a computer using an algorithm known as a random number generator. Random number generator (RNG) technology is used to generate quick picks on lottery terminals and is also employed by online gaming companies to ensure fully random results, for example to ensure random shuffles in card games. By playing with Quick Picks there is still a chance, however slight, that somebody else will pick the same numbers as you, which is why we recommend you use our exclusive NumberShield feature. By doing so you will ensure that you will always be paid the full jackpot amount should you win and you'll also never have to share your winnings with another player. At Lottoland we offer a broad range of lotteries from all around the world. They differ vastly in terms of the amounts you can win by hitting the jackpot – and the odds that you'll ever do so. Generally what we've seen over the years is that the biggest draw for lotto players is always the size of the jackpot. And indeed the higher the jackpot the more players participate, as the hype lures more players who don't play the lottery regularly. So the lesson here is to learn your lottery odds which is precisely why we provide full details on the odds of each lottery on each of our lotteries' FAQ pages. Plus, if you've never played with Lottoland before you can always try out new lotteries for free by signing up and availing of our special Welcome Bonus. The bonus gives you a money back guarantee allowing you to play the lottery at no risk – if you don't win any prize the first time around your money will be refunded to your account. 4. Consider Your "Lucky" Numbers? Some time back we conducted a study on lucky lottery numbers by looking at the results of seven different lotteries from all around the world; the UK National Lottery, the Canadian Lottery, the German 6/49 Lottery, The Spanish La Primitiva Lottery, the South African National Lottery, the Polish Lotto and the Greek Lotto. Our analysis showed that the most common number of them all was "33" and the least common of all 49 numbers was unlucky number "13". Whenever you come across people who claim to have a formula for winning the lottery it almost always comes to so-called "systems" of numbers. An example might be picking numbers in a specific shape that can be seen visually on the ticket itself. These vary from straight lines to complex patterns. (From our own research we've seen that our own players generally prefer straight lines.) Picking numbers in this way doesn't really do anything, however, since the results of the draw will always be random whether you opt to play a straight line or a pretty butterfly. Many of our lotteries, including the Irish Lotto, offer extra games. In the case of the Irish Lotto you can enter both the Lotto+1 and Lotto+2 games for just 50c extra affording you two extra chances to win big. You'll be hard pressed to find anything that costs just 50c these days, so what's an extra 50c compared with having the chance to win up to €350,000? If I were to ask an accredited mathematician "how do I win the lottery?" the answer would be that the numbers I choose wouldn't really matter much, it's simply a matter of defying the high odds that are stacked against me. According to the laws of probability all the numbers have exactly the same chance of being drawn. However, as we've seen, there are ways of reducing these odds. Probability also dictates that these odds will drop even further the more you play. If you play for a given week then you have just one chance to win against high odds - but if you play every week, the overall lottery odds don't change but the chances of you beating them does. Hence the reason you hear so many stories in the news about winners who played the lottery for years before finally hitting the jackpot. If you want to win the lottery you need to first do your research to find the lottery which best suits you. Do you want more money at higher odds? 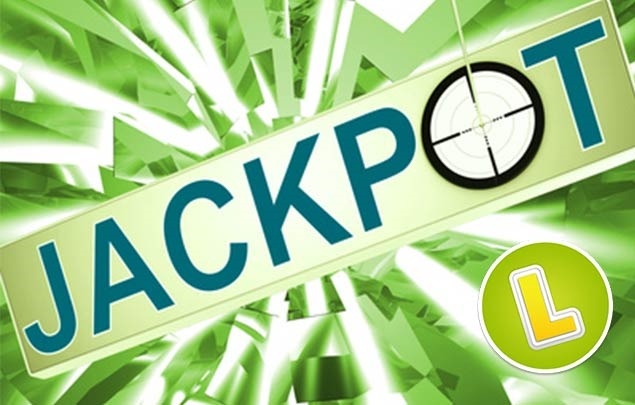 Or are you more tempted by lower jackpots with a greater chance of success? Don't forget about other prize tiers also, as these often pay out pretty juicy amounts. Ignore the advice of these so-called lottery gurus and their number systems and instead focus on system entries and consider starting/joining a lottery syndicate to spread the costs out. Remember to play those extra games also, they only cost a tiny bit extra for a chance to win a massive windfall and, finally, keep the faith and keep plugging away. There are, of course, always exceptions, but generally the people who win the lottery are those who play with consistency. This week's biggest jackpot is for the other big European lottery EuroJackpot which this Friday boasts a jackpot worth a massive €62 million - €23 million more than the current EuroMillions jackpot! EuroJackpot also offers better odds than EuroMillions making this Friday's draw a no-brainer! Perhaps this will be the draw where you win - the only way to know for sure is to play EuroJackpot. 7 real ways how to win the lotto!